The relaxing part was the drive up. On Wednesday Jodie and I picked up Phil (one of our composers) and Erin (his girlfriend) and hit the highway to the Okanagan. Its not actually that long a trip - about 4 and a half hours, and the company was good. We dropped Phil and Erin off at their hotel and grabbed lunch before Craig and I met for a TV interview down at "The Sails" - a downtown, lakeside park where we shot a scene in the film three (ulp!) years ago. It was also, appropriately, across the street from the theatre we'd be screening at. From there I rushed out to where my Dad and his wife, my Sister and my niece were - at an old friend's place which was where Jodie and I were to get prepared for the evening at. We really did have long for hugs and hellos before we had to shower and run out the door again to get to the pre-screening party. I could not be happier that we planned a pre-screening party. It was really the only reasonable chance I had to say "hi" to most of the people, both from the Okanagan and those who travelled, who had worked on the film and were in attendance. Even then it was total chaos. We had the event at Sturgeon Hall - a place that was always good to us. Right back to when Keith and I first went to Kelowna together and he told me about his idea for a film then called "Nightmare Beast of Blood Lake: A Scientific Overview." 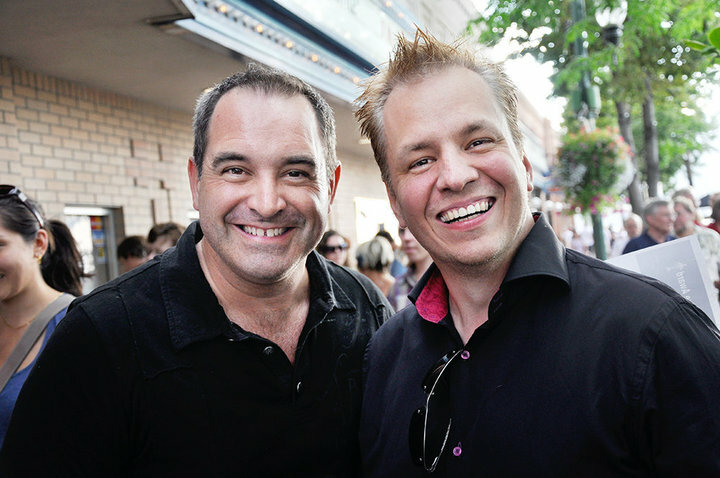 Keith and I spent a lot of our time in Kelowna while on tour at Sturgeon Hall. They also provided us with a place for extras to get out of the rain when we shot at The Sails... but it didn't rain so they got off easy on that one. We crammed 'em in on Wednesday night and put their staff on their highest setting. They were great. At 5:30 they turned on the news for us (it is normally a sports bar, but we had all but one or two small tables... not to mention there wasn't much gripping sport on). The interview that Craig and I had done earlier in the day had been turned into a full feature on the news. We all cheered. At 6:00 I headed out the door with Rebecca our publicist. 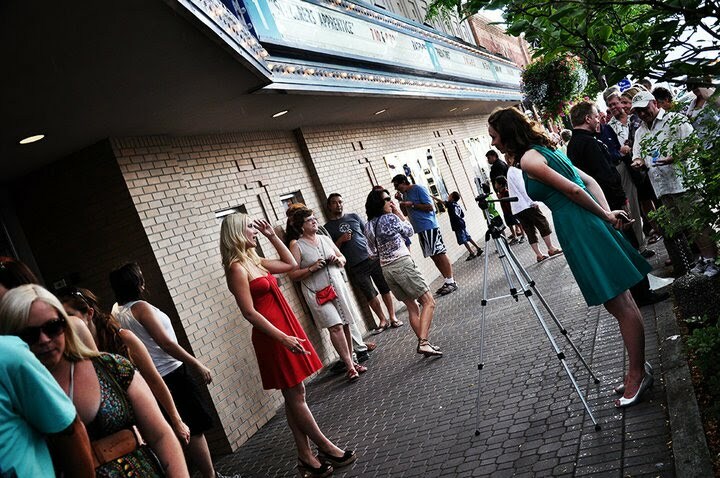 The theatre was less than a block away and the line-up party was under way. Yes. "Line up party." One of our Executive Producers, my old friend Scott John, whose in-laws live in the Okanagan, giving him some additional resources, decided to collude with Rebecca to make sure that all the people standing out in the blazing sun to get tickets had a good time. We had cast members stopping by and doing interviews. 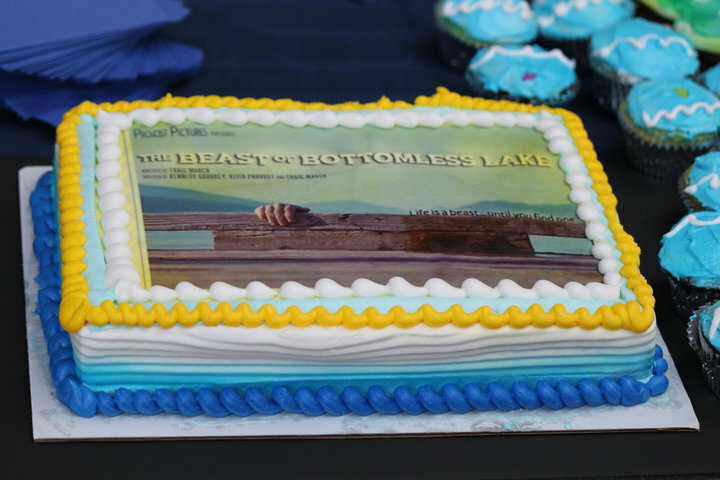 Scott's wife Kathy baked a cake with the poster of the film on it! 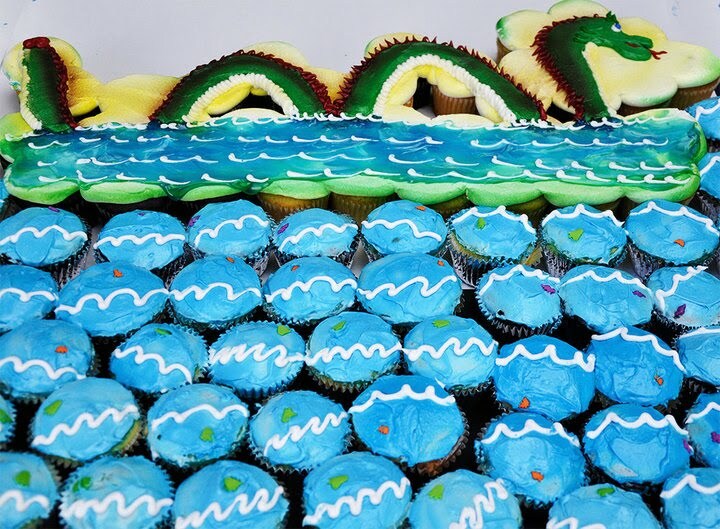 And she made a bunch of cupcakes that were put together to show the Ogopogo rising out of the depths of the lake. People got cupcakes and Craig and I cut the cake like a newly married couple. The show was officially sold out. There were a number of tickets held for festival staff and volunteers and I spent most of my time before the screening doing everything I could to get people who had worked on the film, who for one reason or another had not got tickets yet, into the theatre. Including giving up my own seat. My plan was to stand at the back. That plan didn't quite work out. Apparently the theatre only allows one person per-seat plus one standing (the usher presumably). Craig took the place of the usher and I stood outside with Scott and our editor Mike and even Craig's wife Elaine relinquished a seat. More people arrived after the film had started and had they arrived earlier then perhaps more of us (like Jodie - who was sitting with her parents) who already knew how the film ended would have to wait outside. Don't get me wrong. I am not complaining. This is an AWESOME problem to have. 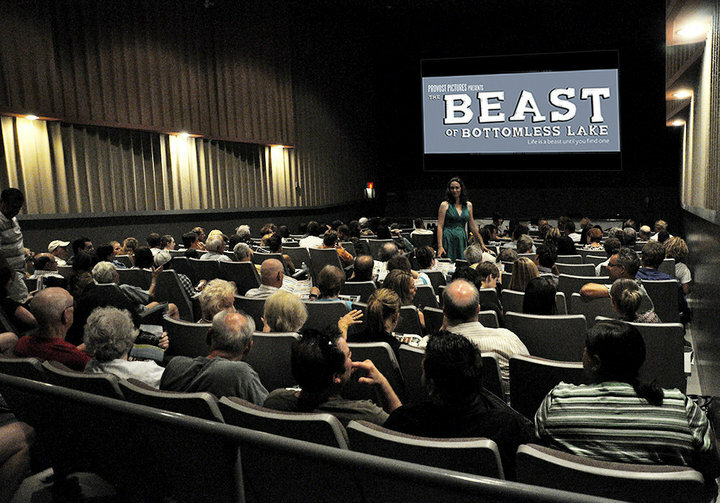 Apparently the Okanagan Film Festival has never had a sold out show before. It's kind of cool to be first. While the early portions of the show played we listened to organizers tell late comers that they were already considering doing a second showing before the festival was over. When ever we'd hear a peal of laughter from inside, Mike and I would try to guess what had been the inciting joke. We know the film well enough that we were never wrong. Eventually people started having to come out to go to the bathroom. I quickly did the math - there were now less people in the theatre than it's maximum (albeit temporarily). So I started sneaking in while people were answering nature's call. By the second half of the film there was always at least one person outside at a time, so I got to witness the audience reactions for the whole last half of the film. There was little doubt in my mind by the time the credits rolled that they had all had a great time. As Craig and I walked down the aisle to the front the cheers were pretty awe inspiring. The Q & A was really short as so much time had been lost at the start due to seating issues. On my way back up the aisle a woman grabbed me and said "I just had to come tonight. I did community theatre with Keith when we were kids. I used to have such a big crush on him." I answered "I get it. If I was a girl I'd have had a big crush on him too." 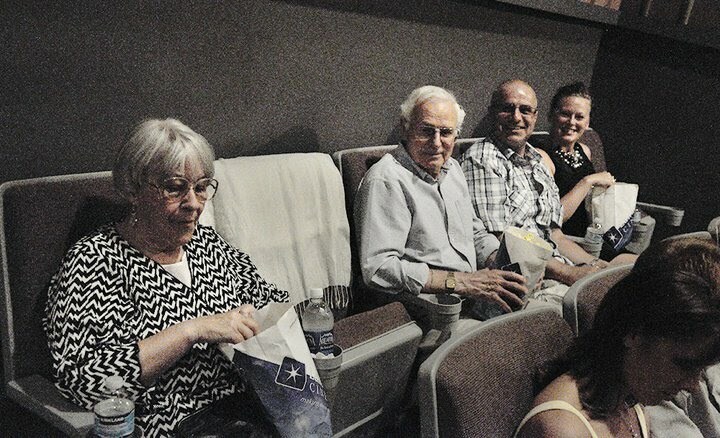 Keith's family - his Mother and Father, his brother and his lady, and of course Janet, Keith's widow were there too. They were all so happy. I can't imagine that this film would ever represent closure for any one of them, but it does mean that there's a piece of him that will always be around for all of us. One of the highlights of my night was seeing the big smile on his Mom, Lainie's face when she arrived at the gala. The gala itself left something to be desired, but I don't want to get into that. It was just as well to go elsewhere and quietly raise a glass with friends - after all I had work to do at my job in Vancouver by mid-morning. Once again, like the day after we won Best Feature in Mississauga, most of my free time during the day on Thursday was spent responding to messages about the film. So, when my weekend begins in a few hours it will be back to the Kelowna Festival - there is a film maker's BBQ that I'm looking forward to on the lake tomorrow and I should really see some other films!